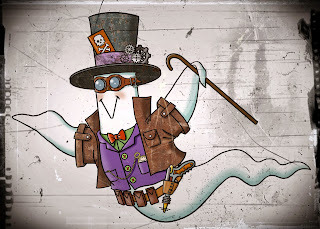 Crafty Moments: HALLOWEEN STEAMPUNK GHOST DIGI. Thank you, I'm loving him, so de-bone-air! He's really cute! I love him Vince - thanks so much! He certainly is very dapper. Thanks for sharing. What a great steam punk. Big thank you 4 sharing your talent. Hi there! I just found your blog via one of your followers--Vicky aka Crafting Vicky. So glad she turned you on to me as your work is incredible. 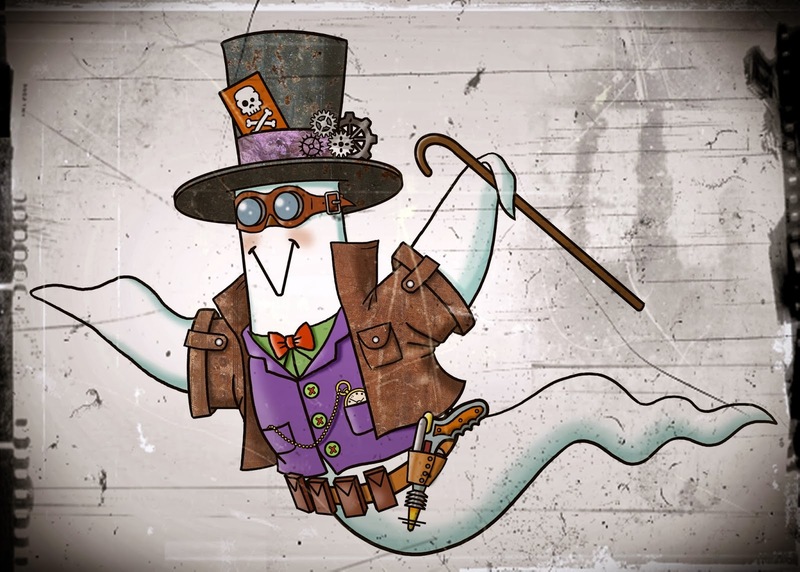 Thanks so much for this cool steampunk ghost. I'm off to check out some more of your work!